If you're an Android guy, you might've already came across this quote : " There is insufficient space on the device ". Which is a bummer for any Android owner, if he/she cannot download any important app, well for sake of an argument let's say a decent game! So there you're, cleaning cache of your Device with some 3rd party apps like Ccleaner, Clean master.etc OR some of you might simply head over to Rooting & then creating a partition through your SD card(You know the drill). You know what ? 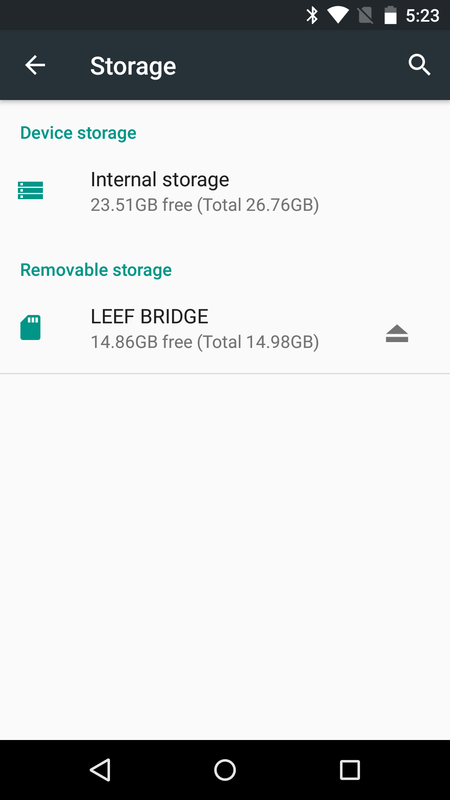 Keep all those things aside, Because Google is finally allowing installing apps/games on your SD card, this time with their own Stock Android Rom ! Yes, this is one of the things that was announced at Developer sessions IO keynote & not at the main IO 2015 Event. So how does it work? Can, i install the whole app with App's own storage & SD card data directly to Micro SD card, when it's equipped as default storage? Answer is Yes! Google is finally opening up. But there's a catch, it'll work only with Sandisk SD cards, why is that so?, I've no clue(Some say they're more secure). Well, you can also plugin USB drives & access it now, without the need of any 3rd party apps on Stock Android. When you insert your Sandisk SD card, you will be prompted with setup process with 2 choices. Use it as Portable storage. Use it as Internal storage. This is the part where you can access your files normally as an external SD card would normally let you do. & I'm guessing here formatting is not required. 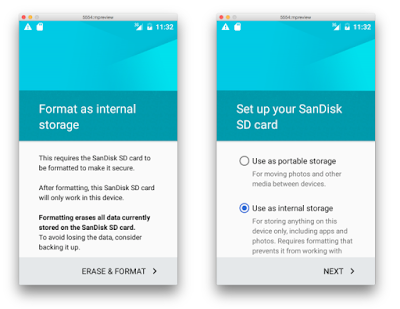 This is one of the interesting features of Android M, where you can setup your Sandisk SD card as your phone's Default directory for installing Apps. But this set-up process will format your entire SD card into a default directory storage for your device. Which means after that format process (set-up process in specific), you will now be able it install any app(entire app) directly on SD card. Spoiler Alert : Once you've formatted the card via Android M's process, you no longer can use it on any other device, as it'll be locked onto that specific device only! Also, when you format a USB drive, you can access it as a portable storage via OTG cable. As now it can be accessed as an in-built feature without the need of any app. Android Police has tested it out on Nexus 5 & who knows it might be available on Android One devices too. 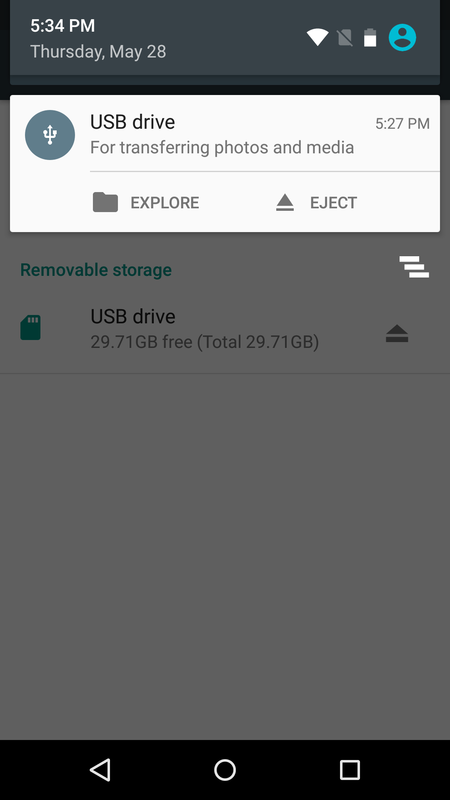 Thing is now, stock Android(M) can recognize USB storage. Some even might be thinking that hey, a Nexus phone doesn't come equipped with an SD card ! Yes, i agree that maybe, this is an attempt by Google to increase their " Android One " sales OR who knows next Nexus might have an SD card? Tell me your thoughts in the comments below.